Whether you’ve got a great degree or are looking to advance your career in a bigger organisation, looking for the perfect job can be a daunting and time-consuming task. Ever thought about using the services of a recruitment agency? 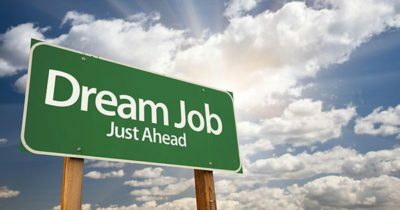 With the right agency, your job search could be over in no time at all and you could be enjoying your dream position. Saving you valuable search time and resources: Instead of having to comb through tons of job ads and career websites, a recruitment agent will go on the hunt for you. Not only do they have access to employment databases, they know where to look for a demand for your specific skill set (even when the position is not advertised), and they often have relationships with large organisations that they recruit for a regular basis. Once they have identified a suitable, relevant position, they will bring it to you. All these factors will save you valuable time best employed elsewhere. Styling your CV: A professional recruitment agency will help you with your CV, honing it into a marketing piece that works for you. Too often, great candidates are passed over because their CVs are a mess e.g. full of spelling errors, they aren’t in an easily accessible format or style, or they simply don’t make the best use of the facts. A professional, error-free CV can go a long way to ensuring you get a foot in the door. Getting you ready: An experienced recruitment agent will guide you through each stage of the recruitment process, from refining your CV to preparing you for a first interview. They will offer you client- or industry-specific tips and can also give you great advice on what to wear (first impressions count!) and what kinds of interview questions to expect. This preparation can help to calm your nerves and give you a better shot at the job, or at least at a second interview. Feedback worth having: If things don’t go your way and you don’t get a position you interviewed for, the recruitment agency can provide you with valuable feedback as to the possible reasons you were not selected, what you can do in the future to improve on your interview performance, and your strengths and weaknesses when it comes to first impressions. This provides you with a great opportunity to learn and grow. Negotiation support: As your representative in the job hunt, a recruitment agency can help you to understand and then negotiate the terms of a new position. It is in their interest to make sure that you and your new employer (who might be their client as well) are happy and settled. If you have a problem with your placement or have questions about your salary and benefits, a recruitment agency can help. A word of advice – finding the right recruitment agency to work with will have a dramatic effect on your ability to find the perfect job. Choose wisely and you will soon form a strong bond with your agency. They will get to know you and will seek out employment opportunities that match your desired career goals and personality. Since many working professionals change careers more than once in a lifetime, a strong relationship with a reputable recruitment agency is a worthwhile investment. Take the stress out of your next big career move and hire a recruitment agency to help you get the job you’ve always wanted, without wasting unnecessary time or putting yourself under undue pressure. Have you considered working with Lee Botti? As members of APSO (the Association for Personnel Services Organisation), we are specialists in the industries we serve. All our consultants are IPSC qualified and we have branches across the country, giving us a wide reach. We believe in offering excellence through quality service and carry this through in all that we do, from our two hour turn-around revert time to our dedicated interest in all our clients. We will also customise your CV and use our extensive database to find you a job to suit your needs and career aspirations. If you’re looking for the perfect job (and the right recruitment agency to get you there), Lee Botti is the agency for you.